Yup, today's the day - 11/11/11 - the day that many of you have been waiting like a perfect bodied 18 year old at ringing your doorbell saying "Lets Do It!". That didn't sound right.. anyway, today Elder Scrolls V: Skyrim will be released. I have not gotten my copy yet, Gamers Dungeon editor still has to wait another about twelve hours, but I hope it'll be worth it. While you're at it, don't forget Live Marathon of Skyrim host by GameSpot.com that has now (10th Nov 23:00 +2 GMT) ran already almost 8 hours! Don't worry, while it's running you can still start at the beginning. Check it out here. The reviews of Skyrim are swarming in and since "final pre-release thoughts" post has been already done in part "Countdown to Skyrim - 1 Days", lets take a look at the first reviews (majority of big magazines still to come)! Also stay tuned to Gamers Dungeon Skyrim review - but I will take my time with the game before doing it. I don't want to rush my opinion till I have spent certain amount of hours into the game. Still - by seeing this rating makes me quite excited to wait next 12 hours to get my copy! I hope you have enjoyed this little Skyrim countdown series - if you'vent checked the series before you can still read parts 1,2,3,4,5,6 and 7 (direct links on the bottom of this post) for some useful Skyrim info. Thanks for reading and stay tuned for a review later on. It's Skyrim celebration time! You can feed on bodies in Werewolf form, not sure what it does, extends the form length? There's a new guild called "Companions Guild" - Has connection to werewolves. There are several types of Dragons, not all are as easy either..
"If you've played previous Elder Scrolls games, glitches and oddities don't come as a surprise. Nevertheless, Skyrim comes in a year graced with multiple quality RPGs that feature tighter combat, fewer bugs, better animations, and so forth. But to be fair, none of those games are endowed with such enormity. Yet The Elder Scrolls V: Skyrim doesn't rely on sheer scope to earn its stripes. It isn't just that there's a lot to do: it's that most of it is so good. Whether you're slashing a dragon's wings, raising the dead back to life, or experimenting at the alchemy table, Skyrim performs the most spectacular of enchantments: the one that causes huge chunks of time to vanish before you know it." "It's difficult to ever feel completely satisfied with a play session of Skyrim. There's always one more pressing quest, one more unexplored tract of land, one more skill to increase, one more butterfly to catch. It's a mesmerizing game that draws you into an finely crafted fictional space packed with content that consistently surprises. The changes made since Oblivion are many, and result in a more focused and sensible style of play, where the effects of every decision are easily seen. Featuring the same kind of thrilling freedom of choice The Elder Scrolls series is known for along with beautiful visuals and a stirring soundtrack, playing Skyrim is a rare kind of intensely personal, deeply rewarding experience, and one of the best role-playing games yet produced." "The Elder Scrolls V: Skyrim is the definitive and ultimate Elder Scrolls adventure, delivering a truly unforgettable and epic fantasy experience like no other. Skyrim is a deeply intimate and profound singleplayer experience that imbibes a true sense of epic heroism in all players, and truly represents the hearty Nordic culture in its entirety." "On the whole Skyrim is a must play for anybody and everybody. 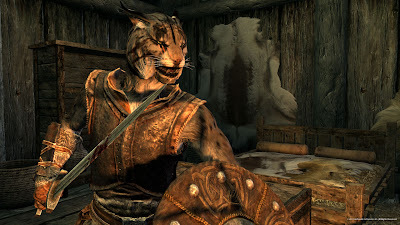 There is so much variety that there is something for everyone regardless if you like RPGs or not, you have to check out Skyrim I think it may change your mind "
"..The main quest is rich and rewarding, but the side content is, as always, where this game shines. There is more than enough to keep you playing until the new year, and you can be sure that there will be DLCs to come. The Elder Scrolls is still the pinnacle of open-world RPG experiences and Skyrim feels like the magnum opus in a series that has spanned nearly 20 years. In a release season that is so desperately trying to vie for your attention, it should be at the top of your list." 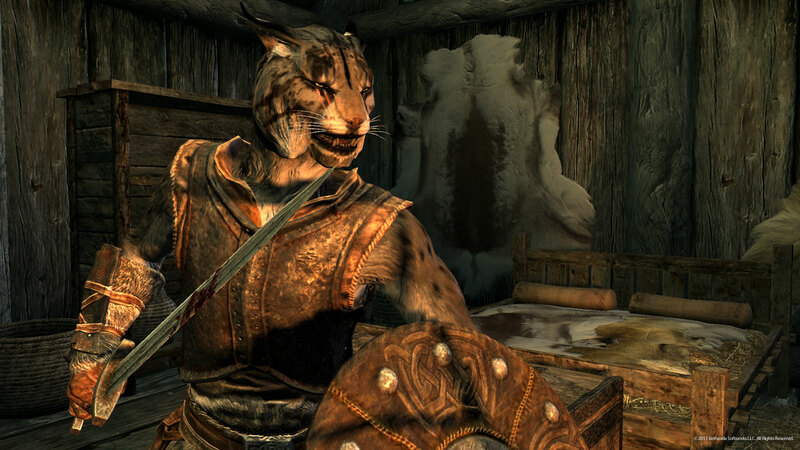 "In short, The Elder Scrolls V: Skyrim is Bethesda’s best outing to date. They have succesfully created a living, breathing world that is interesting above all else. With innumerable activities to do, players will spend hours exploring the land, crafting items, and completing quests. With all these in one game, Bethesda has put together a complete package of a game. While loading and pop-in are abundant, they are excusable in a game of this sheer size. I also would have liked a bit more individuality in some of the locations. Still, the apsect ratio issue is really the only problem I have with the game, and that’s frankly a TV issue, not Bethesda’s. All told, this game supplies hundreds of hours of entertainment for anyone willing to dive into Skyrim‘s massive world." "After spending around 40 hours on Skyrim I still feel I've only scratched the surface of this game. With its beautiful and deep world I know, I'll be spending a lot more time in Skyrim and I easily expect to pass over the 200 hour mark that I achieved in Oblivion. The Elder Scrolls V: Skyrim leaves me amazed and in awe, and so I give it a perfect 5 out of 5 GiN Gems!" "Who you start as in Skyrim matters little, because who you’ll become means everything. So it doesn’t matter if you’re a native-skinned Nord, a lizard-skinned Argonian, or a thick-skinned Orc. It doesn’t matter if you’re partial to axes, arrows, or great balls of fire. What does matter is if you’re driven by your storyline destiny, or driven to incessant exploration, because when Skyrim opens up the four corners of its map, that’s when you’ll find that every path drives you to distraction--and we mean that in the best way possible." ". I can admit that I would start playing at the PM and continue on until the early AM without even realizing it. There are also a good amount of surprises that were kept a secret for the release which had me howling in excitement for how carefully well done they were implemented. Having only completed over 60 hours, there is still a great deal for me to explore and quests to finish. For those on the fence, do yourself a favor and don't sleep on this game. Even if this is one of the nerdiest games to ever be released, it is also one of the best." "For all the negative things I had said in this review, are any of them deal breakers? No, but they are bits of polish that would really have helped push this game over the top. But as it stands Skyrim is a fantastic game, and probably one of the best of this generation. It's got an intriguing story, and you feel like you have more weight in the world of Skyrim than you ever did in Oblivion. At times it is a strikingly beautiful game, that first time I saw the aurora borealis in the sky it just clicked for me that this game was something special, and indeed it is. What Bethesda has created is not quite the revolution of the franchise that I was hoping for, but they have created a game that is immensely enjoyable. And now if you'll excuse me, my controller is vibrating and I see a dragon off in the distance. " "Skyrim has not forgotten its roots, offering a single player adventure which is just as epic in scale as it is in nature. The lone adventurer can rest easy, because there is no better way to spend time on your own than to spend it with Skyrim. This is not only one of the finest games of the year, it’s one of the finest games ever made." "This title is sure to eat up countless hours well into the new year."